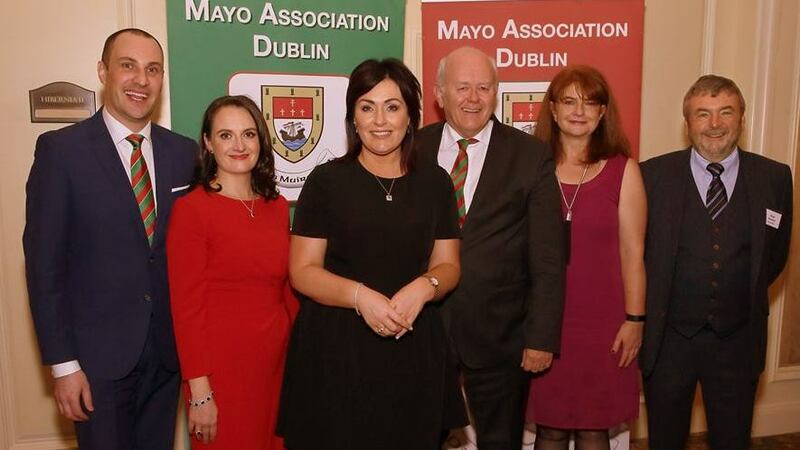 We’re delighted to announce that Mayo Roscommon Hospice Palliative Care Service will be our main charity partner at ‘The Yew Tree Ball’ on Saturday 9 February at Dublin’s Ballsbridge Hotel, and all monies raised from our Bumper Raffle Draw on the night will be donated to this charity, which is working on the development of two new palliative care units for Castlebar and Roscommon Town. The building of its state-of-the-art 14-bed Hospice is underway in Castlebar, and Martina Jennings, CEO of Mayo Roscommon Hospice Palliative Care Service, said they’re delighted the dream is now becoming a reality. All going according to schedule, the Hospice will open the doors to the general public in late April/early May 2019. Martina Jennings, CEO of Mayo Roscommon Hospice Palliative Care Service (centre) pictured at our Annual Business Lunch in November with (l-r): Derek Reilly, PRO; Julie Doyle, Chairperson: Michael Kealy, Treasurer; Grace Heneghan, Secretary; and Noel Howley, Chair of Business Lunch Committee. Martina said that as soon as the Castlebar Hospice Unit is complete, building works will start on an eight-bed Specialist Palliative Care Hospice in Roscommon (beside Roscommon County Hospital). As well as funding the cost of these two units, Mayo Roscommon Hospice Palliative Care Service will continue to fund the Palliative Home Care Service across the region, which comes in at a cost of €1.2 million annually. “This is a vital service in the local community and one of which we are so very proud,” Martina noted.